A Jack Connelly goal was not enough to salvage KU a point in a hard-fought match against London School of Economics’ third team on Wednesday at Tolworth Sports Ground. 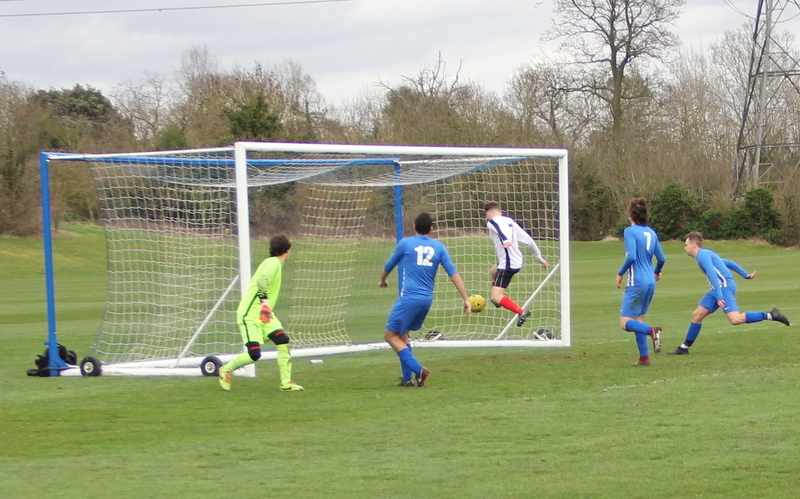 Daniel Di Lieto scored for LSE on the 90th minute, adding to Joe Wills’ first half strike. The 1-2 loss was a disappointing way for Kingston to end a fantastically successful title winning season. “In the final third we didn’t create enough chances and when we did our finishing positions in the box were not as good as they have been this season,” coach Besim Ali said. 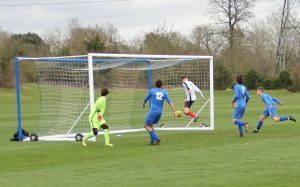 Wills opened the scoring in the 16th minute, as Reece Harper had been forced into a fantastic save moments earlier before Wills capitalised with a volley from outside the box. KU captain Oscar Kotting Mcmillan made a good run into the box from a free kick and was able to shoot past the LSE keeper, and Connelly tapped home to ensure Mcmillan’s shot found it’s way into the back of the net. 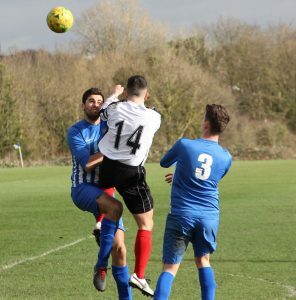 Late pressure from KU was countered at the death by Di Lieto, who caught Kingston on the break and scored a late goal that once again meant Kingston would be upset by an LSE team this season. 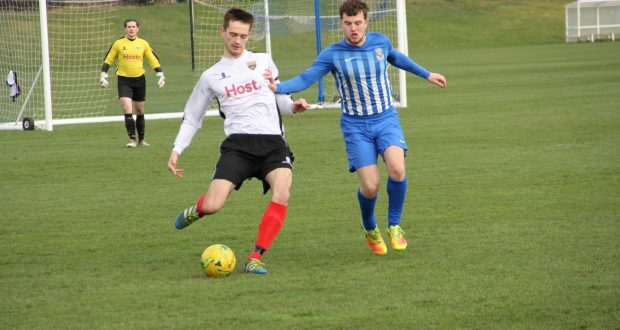 Kingston, who played in a white kit for the first time this season, entered today’s game knowing that they had already won the league following Royal Holloway’s defeat at the hands of Brighton last week. Fulham U23’s coach Mark Pembridge, a former player of Fulham amongst other clubs, was observing the match from the dugout. Ali said: “It was good to have Mark’s feedback on the game and I passed that on to the boys in the changing room and it was good he came down. Kingston started the game sharp and in the 13th minute Santiago Navarro beat the keeper but the inside of the post stopped the ball from going in. There was frustration for KU, since players who have looked very comfortable on the ball this season lost possession or mistimed passes during the match, something LSE didn’t capitalise on enough. A handful of very good saves from Harper kept the game close and prevented LSE from putting more distance between them and the hosts. The game concludes the season for Kingston who will next be in action in a new division next academic year.